How Do I Use My Pinhole Cap? | Daystar Laser Inc.
How Do I Use My Pinhole Cap? Pinhole photography has been around for centuries. Learn how this historic technique offers artistic potential for the modern photographer. Whether you’re building your own camera or replacing a lens cap on your DSLR, you need the right equipment to get the results you want. Figure out which pinhole is right for you. Meet the photographers who are setting the pace for pinhole photography. Check out their creative work, and then experiment to develop your own unique style. 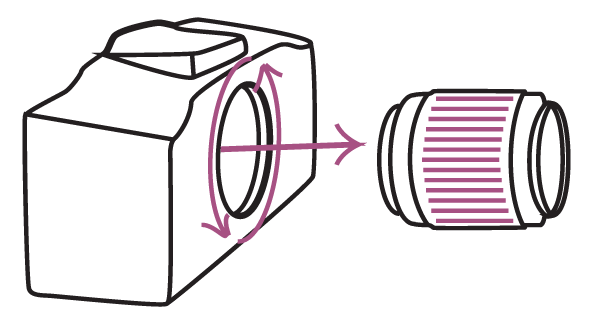 – While holding the lens release button, gently twist the lens counter-clockwise and pull off. Make sure not to get any dust or foreign objects on the lens, camera mirror, or sensor. This process works for most cameras, some cameras may have a different process. – Gently put the cap on the hole and twist while applying a slight amount of pressure. When it clicks, it is attached. You may need to press the lens release button in order to attach properly. This process works for most cameras, some cameras may have a different process. Use a tripod and a longer exposure time when experimenting in most light conditions. Mirrorless cameras need less light than standard cameras, because there is less distance from the aperture to the sensor. For your first image, try to take a picture of your hand, 12 inches or less away, and use the flash. Most times, you will be able to see the image. – Adjust Focus: There is no lens, and an infinite depth of field. Any blur you may experience is a result of either a long exposure or the distance from the pinhole to the sensor. 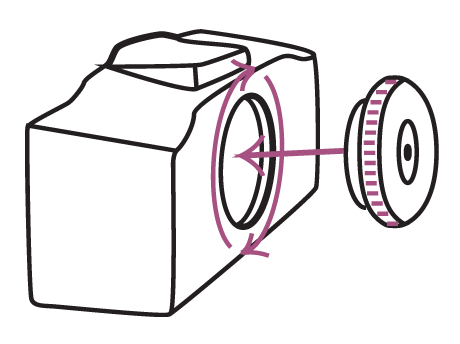 – Look Through The Viewfinder: In most cases the lens provides the viewfinder with the image, so the viewfinder will be blank.